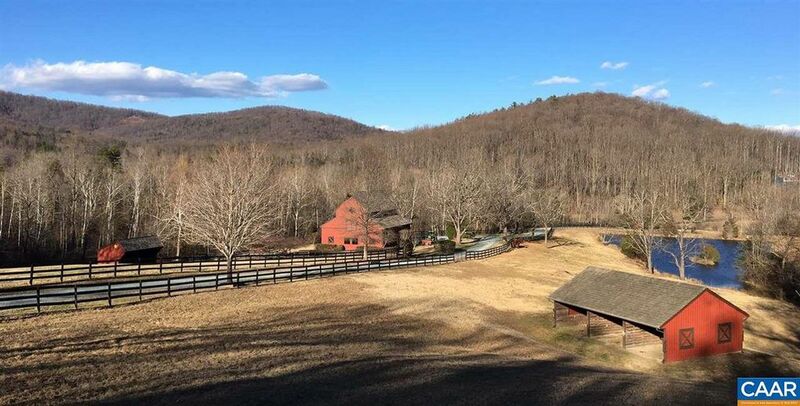 A mountain view, a private pond, endless pastures, and a beautiful home are all yours in this week's luxury home listing in Crozet farm country. If it's space you want, it's space you'll have. Just over 385 acres, to be exact. 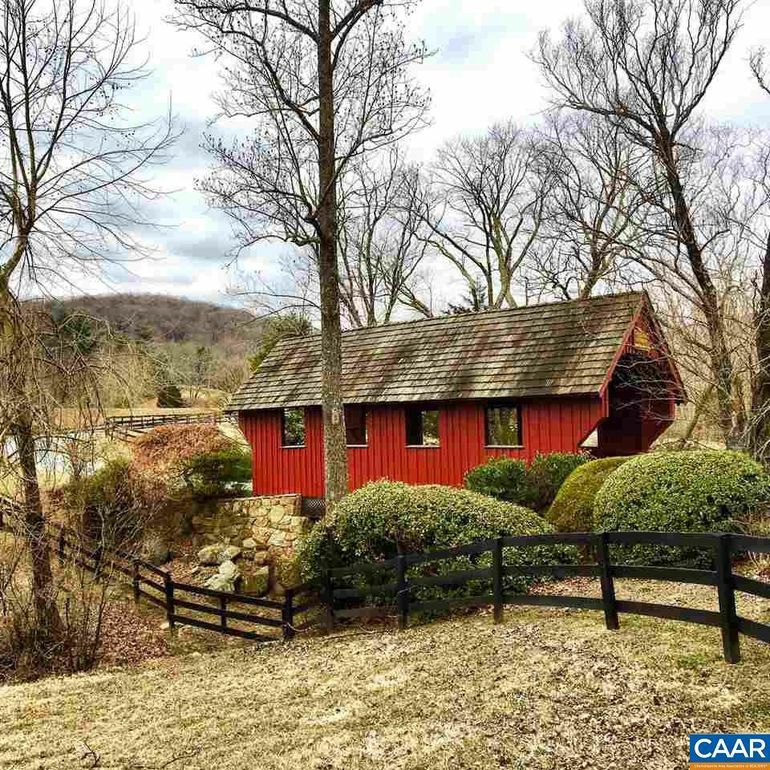 Rolling hills lead up to your land as you pass through the only covered bridge in Albermarle County to get home. 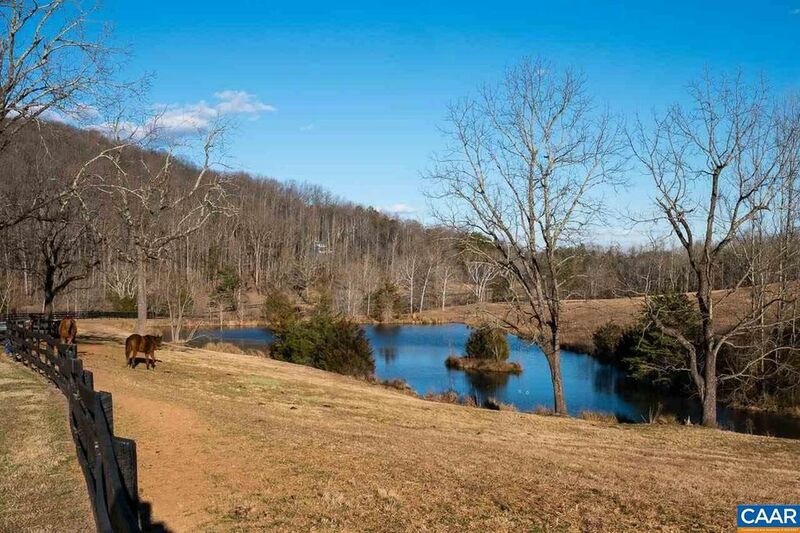 Wouldn't you love driving up to this view of your horses grazing by your pond every day? You wouldn't believe that this house was built in 1988. Its timeless architecture fits in so well with the surroundings, it could easily be from any decade. Inside, the modern touches are apparent, however. No ancient wiring or dated fixtures in this house! 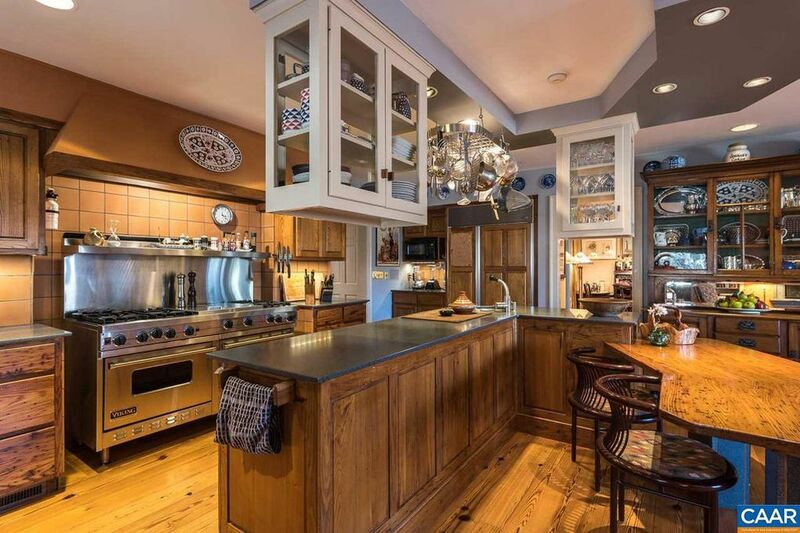 Check out this decked-out kitchen with its double ovens, enormous range, and endless workspace. The custom cabinetry blends seamlessly with the wooden eat-in breakfast nook. Stone fireplaces add a touch of charm throughout the home, from the living room to the spacious bedrooms upstairs. Outside, the landscaped deck provides a perfect spot for grilling and dining al fresco. 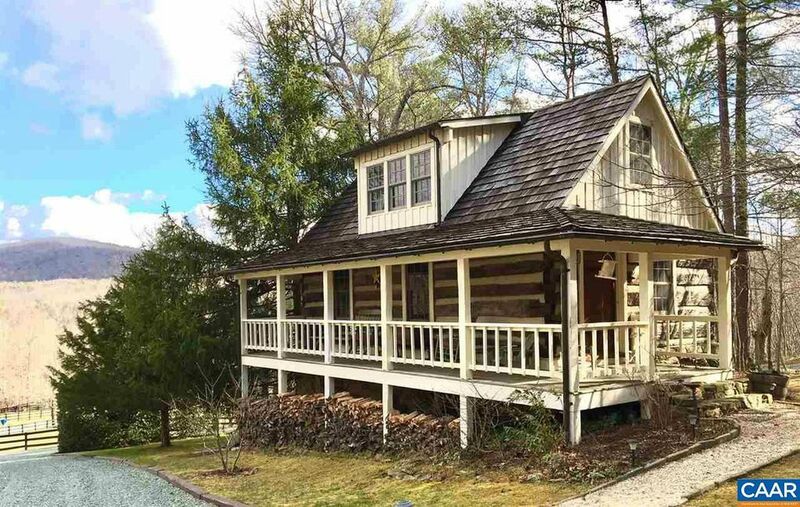 Your guests will love staying in the quaint cabin on the grounds. 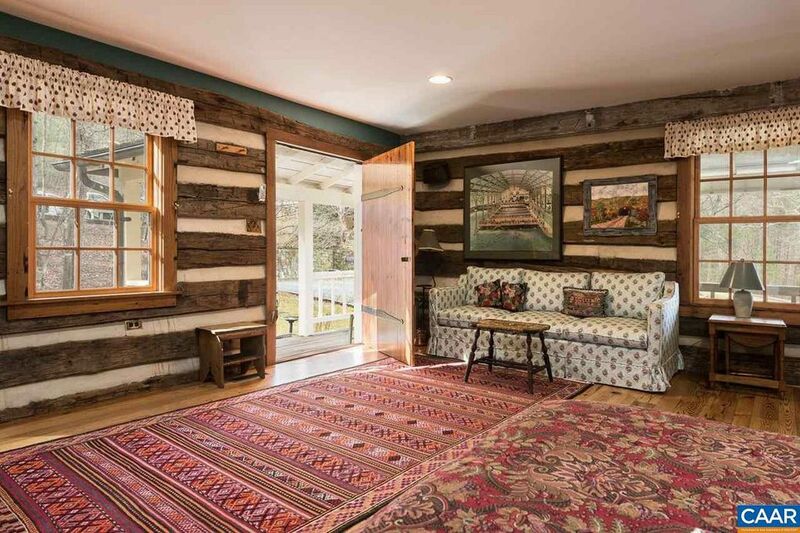 Its traditional log home construction is absolutely charming. 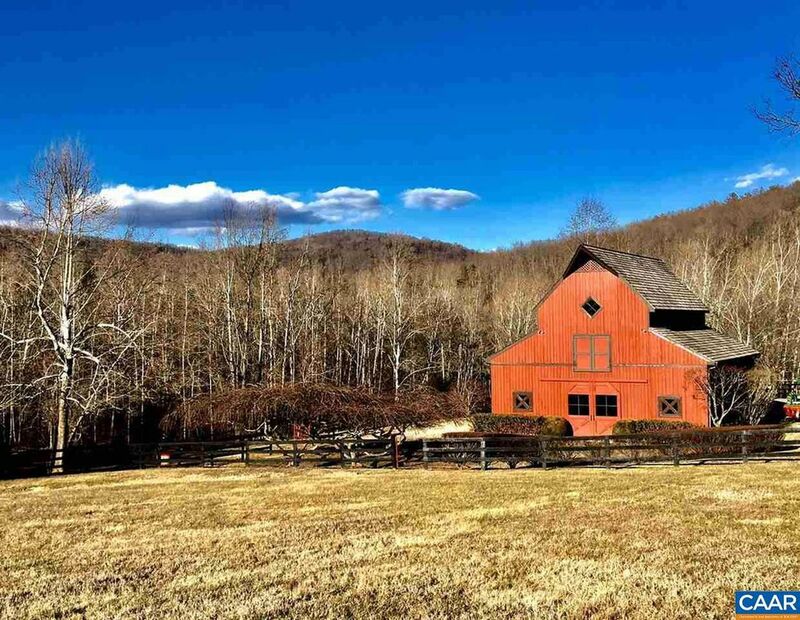 This week's dream home is located at 5214 Pont Rouge Farm in Crozet, Virginia. 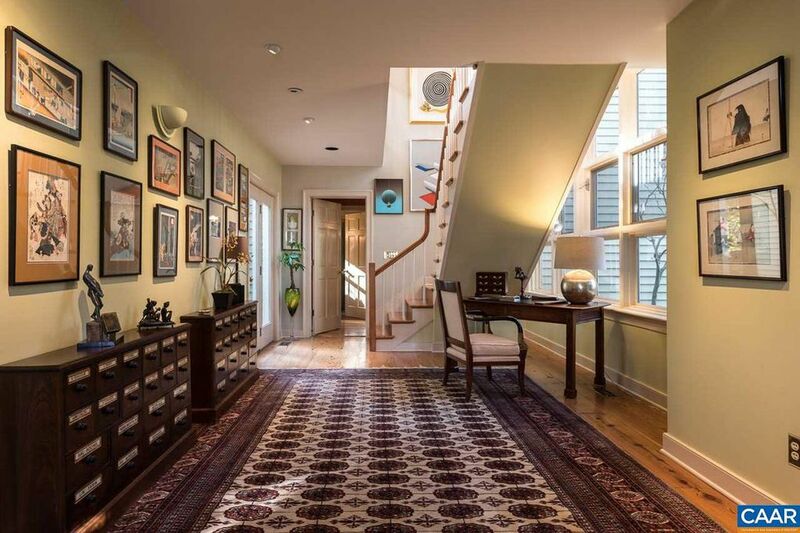 It features five bedrooms, five bathrooms, and two powder rooms. Outbuildings include a horse barn, a run-in shed, and a log cabin guest house. 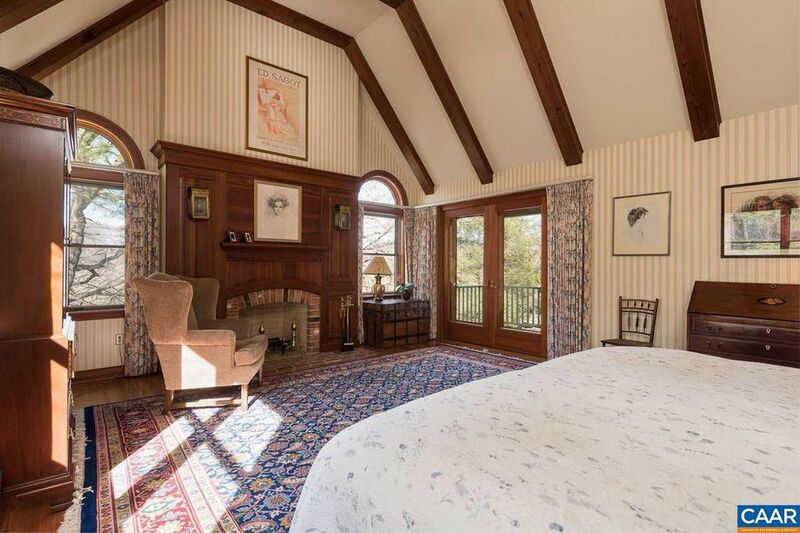 The property is situated on 385 acres with its own deep-water pond and is currently listed for $2,750,000 by Loring Woodriff Real Estate Associates. To view additional details or schedule a showing, visit the original listing. 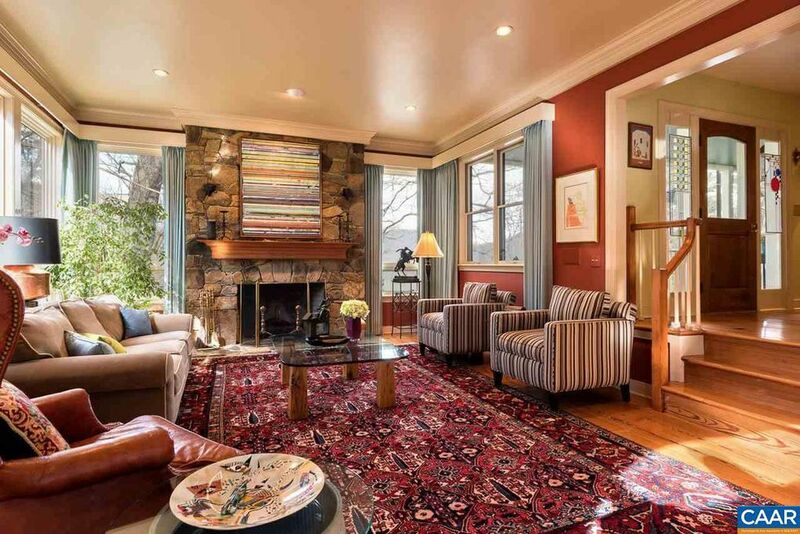 **All photos are courtesy of Loring Woodriff Real Estate Associates. 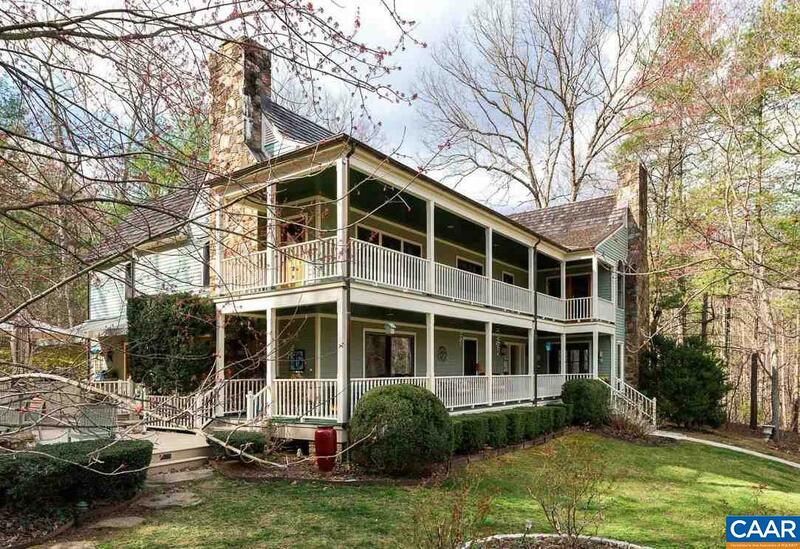 What would you do with the sprawling grounds of this farmhouse? Add a greenhouse and an organic garden? Build a little fishing dock over the pond? Let us know in the comments below! 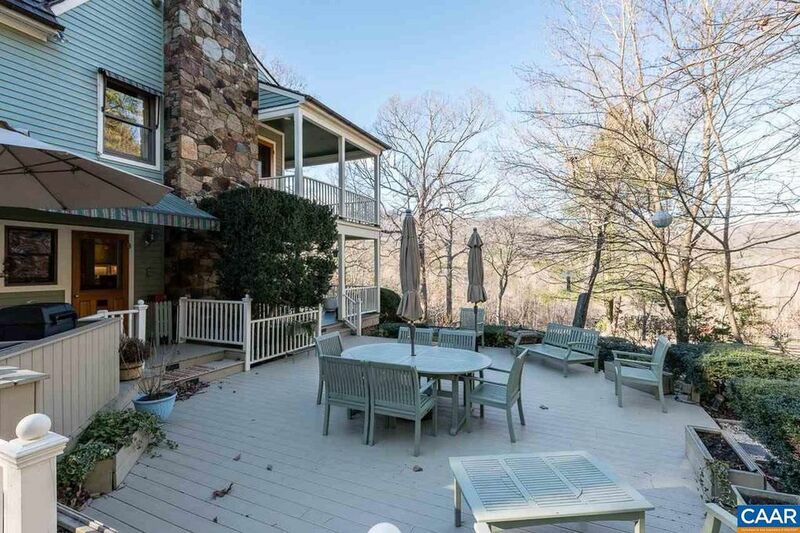 Want more luxurious Virginia real estate? Check out this decommissioned Coast Guard station in Cape Charles!